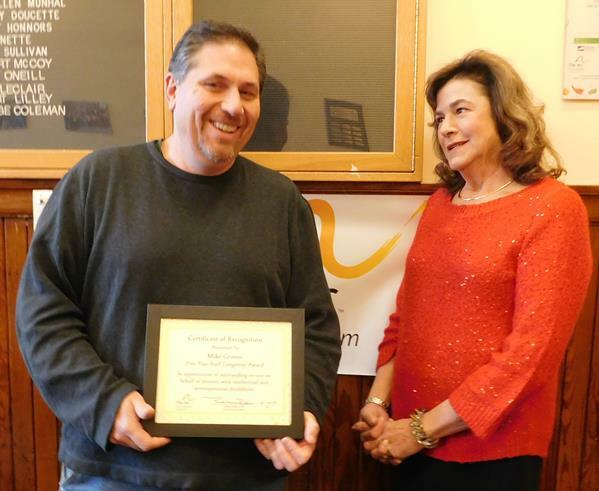 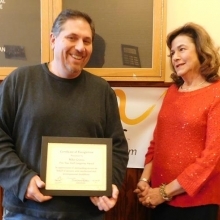 Mike Grimes, Day Habilitation Case Manager, accepts his five year longevity award from Roz Rubin, CEO. 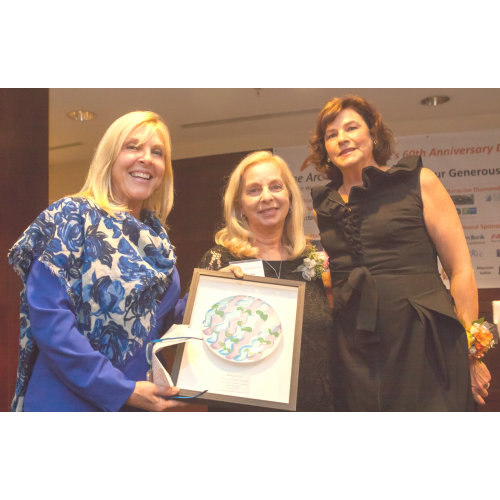 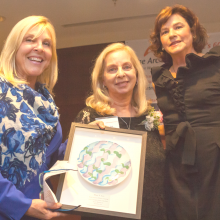 Rhonda Fleming holds the John L. Battaglino Award of Excellence plaque that lists 2017 and past awardees with Roz Rubin, GWArc CEO. 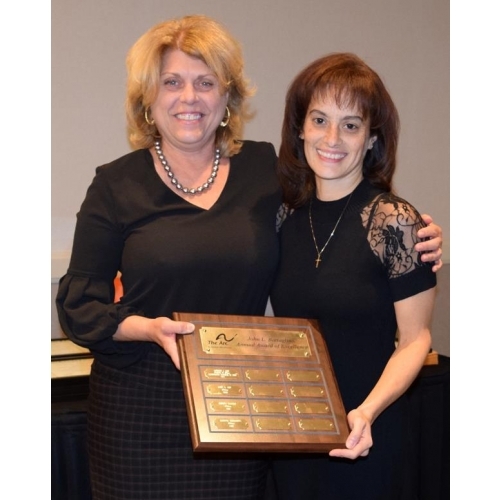 Leah Battaglino Cosby (left) presents the 3rd Annual John L. Battaglino Award for Excellence to Marisol Hernandez at our Annual Meeting. 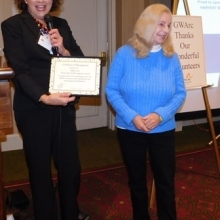 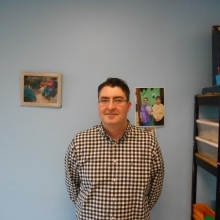 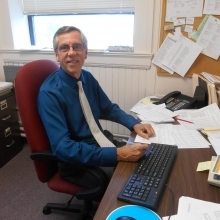 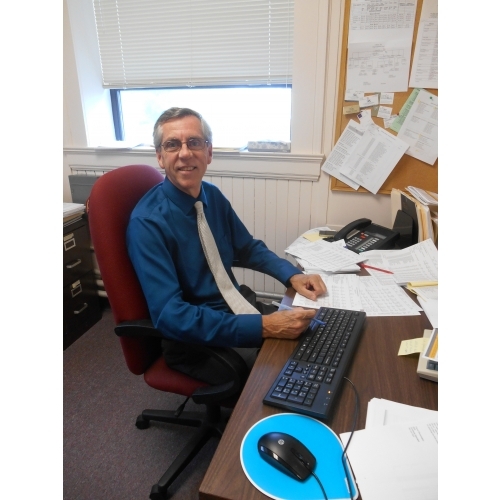 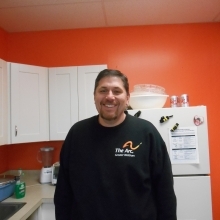 John Battaglino was President and a member of GWArc’s Board of Directors, and a friend and supporter of GWArc for many years. 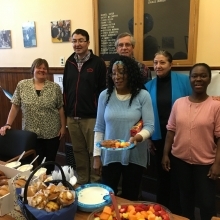 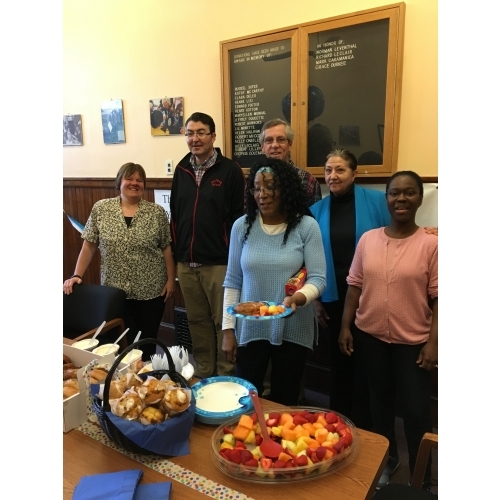 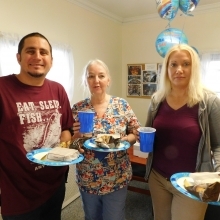 Staff at Chestnut Street enjoy an appreciation breakfast on June 7, 2017. 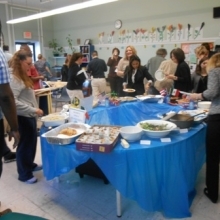 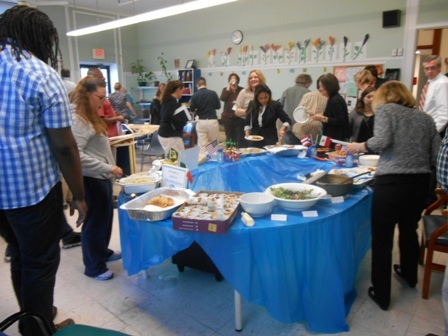 Staff at Woodland Road enjoy an appreciation lunch on June 8, 2017. 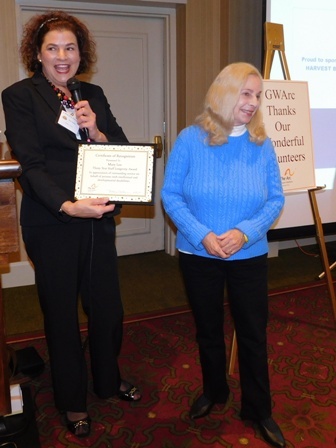 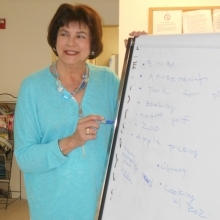 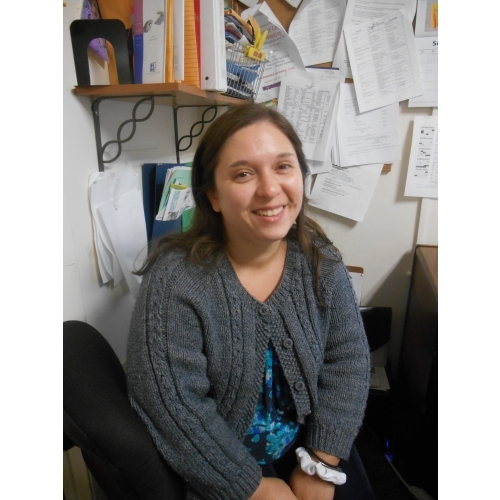 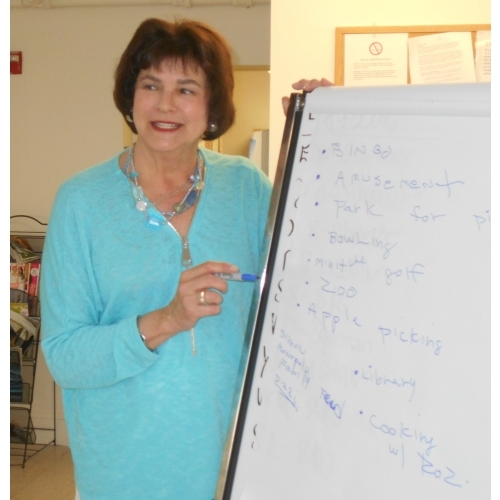 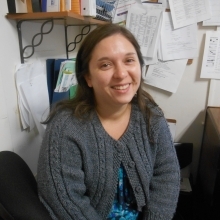 Roz Rubin, GWArc CEO, conducts a Town Meeting with CBDS participants. 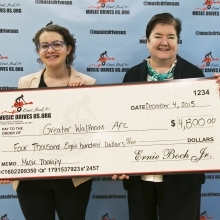 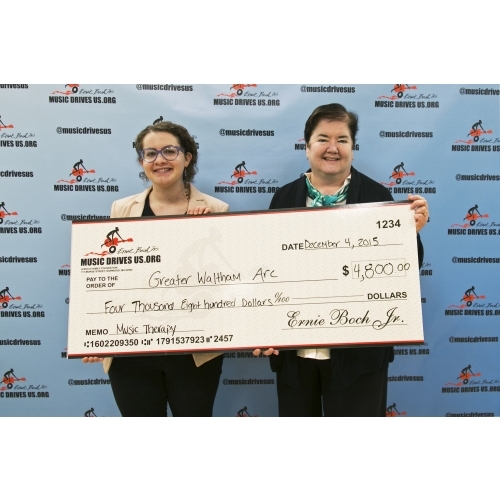 Leah Igdalsky, Grantwriter/ Development Associate, and Joanne Raymond, Director of Marketing and Development, receive a grant check for music therapy at the Music Drives Us office. 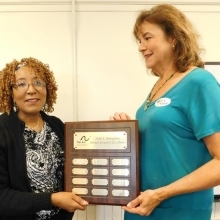 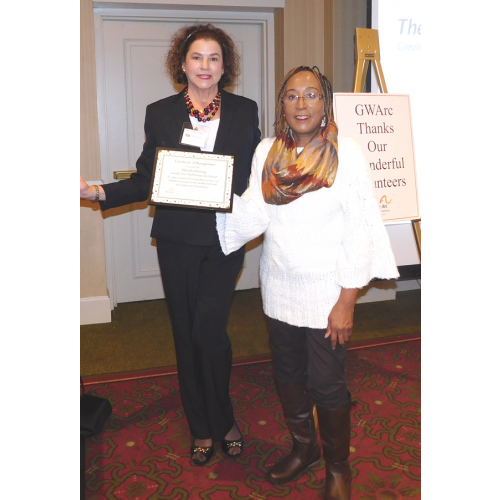 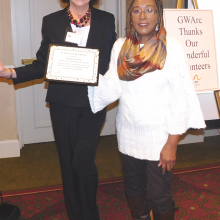 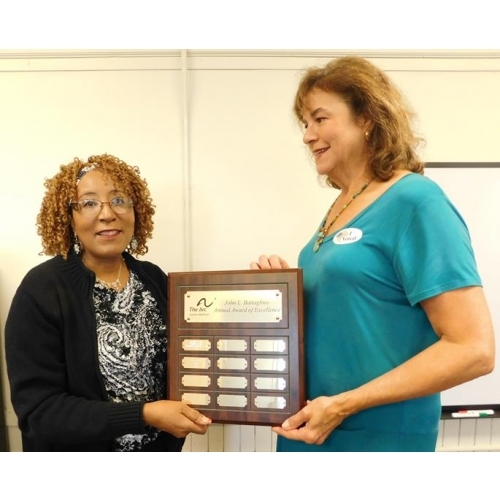 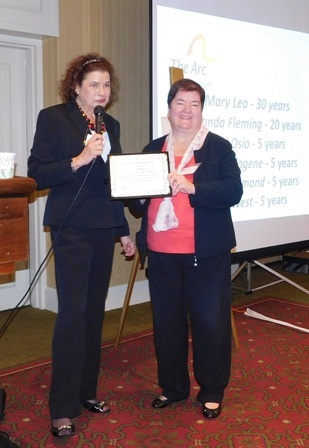 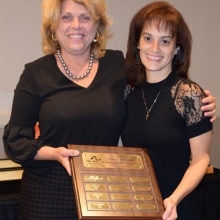 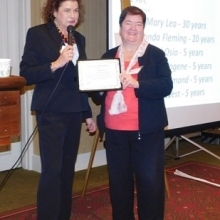 Mary Leo, Day Habilitation Case Manager, receives her 30 Year Longevity Award in October 2016..
Joanne Raymond, Director of Marketing & Development, receives her 5 Year Longevity Award in October 2016. 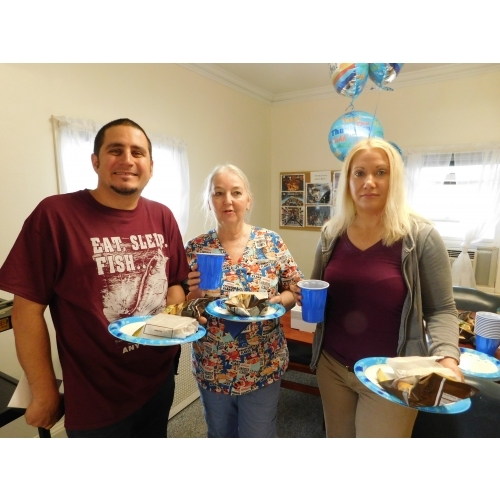 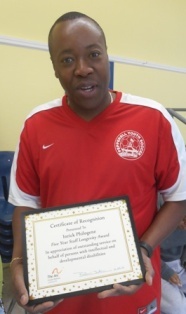 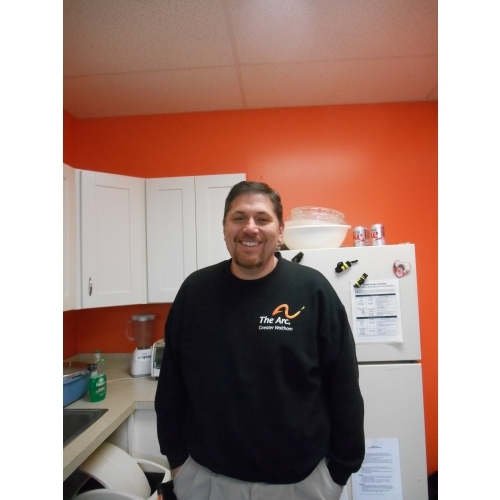 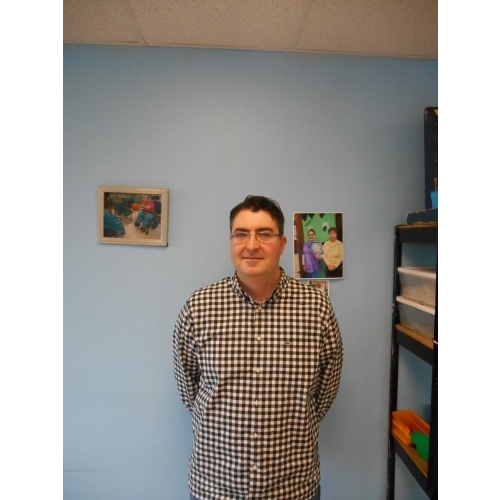 Inrick Philogene, Day Habilitation DD Assistant, received his 5 Year Longevity Award in October 2016. 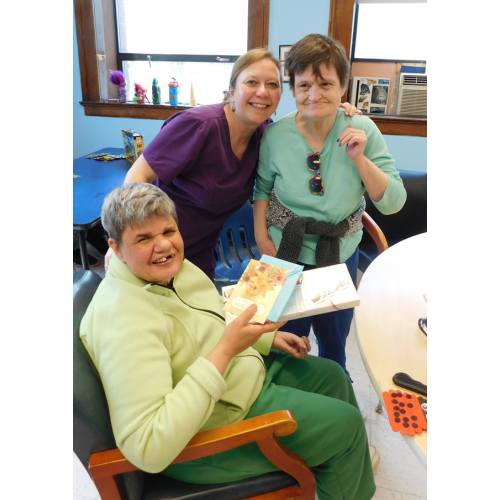 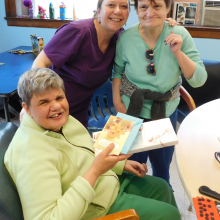 Day Habilitation participants present a thank you card and gift to Christine Dorn, RN (center) in recognition of National Nurses Week.